Seniors want to stay in their own homes as they age more than ever! A recent study says that 90% of seniors will do whatever it takes to continue to live at home and we understand why. Aging in place is becoming more and more feasible and safe with advancements in technology and care services. Home Care is not a new offering, but the way that Vytality at Home is providing services is! As a locally owned and operated company whose owners have a combined 40 years of experience working with Seniors they understand what’s needed to age safely and happily. Their grassroots approach to homecare coupled with their innovative use of technology makes them not only unique, but really pioneers in an industry that hasn’t seen a lot of change over the years. Vytality at Home gives you the ability to make the choices you deserve to make when obtaining care, like; choosing your caregiver and your preferred schedule. They also give your family the ability to use technology to interact with the caregiver and you while onsite. Payment is directly processed and notifications of when care is arriving, departing and being delivered are provided. They believe in preserving their client’s dignity and believe that having full transparency in their offerings, billings, team and task gives everyone the peace of mind they deserve. They operate their business with their purpose being at the core of everything they do – To Create Exceptional Experiences. They extend this purpose to the client, the families and to their team with the knowledge that with exceptional caregivers comes exceptional care. Their focus on having a well trained, knowledgeable and a passionate team again is a key differentiator in the industry and because the clients are choosing the caregivers, they only have the best! Moreover, Vytality also operates as the quarterback for securing in home services that keep seniors safe, happy and heathy at home. They have cultivated great partnerships that can take care of needs outside Vytality’s scope. From lawn maintenance to medication reviews or dog walking to massage therapy, their partners are able to be deployed directly to the home. At Vytality at Home, we recognize providing in-home care to seniors in Calgary and those with mild to moderate mental health challenges takes integrity, respect and compassion. We know that in order to optimize your care; your care plan must be customized, which our nurses are well trained to do. We complete a comprehensive free home assessment using proprietary tools, that enables us to ensure we meet all your needs. 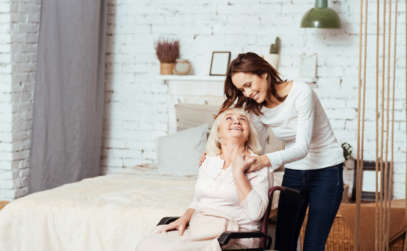 Once the assessment is completed and the care plan is generated, then you choose the caregiver to ensure the caregivers skills, knowledge and education are matched to meet your needs. This then allows for consistency of your caregiver, as you will then be able to schedule your care. 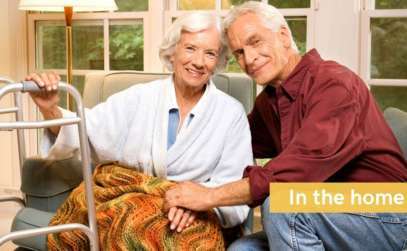 To learn more about how we can meet all your in- home care and service needs contact Vytality at Home at www.vytality.ca.